In an explicit gesture to boost tourism, Prime Minister Nguyen Tan Dung has instructed agencies concerned to consider waiving tourist visa requirements for more nationalities and to continue streamlining visa procedures which have been decried as ineffective. Under a resolution issued last week that outlined several measures aimed at developing the industry, PM Dung asked the ministries of public security, tourism, and foreign affairs to work with relevant agencies to make careful checks and propose the list of visa waiver countries. The resolution did not dwell on the specific nationalities. But last August, the Ministry of Culture, Sports and Tourism and the Ministry of Transport proposed that the central government waive tourist visa requirements for France, Germany, the UK, Spain, Italy, Australia, New Zealand, India and Canada in a bid to pull in more visitors from those markets. “We believe there are very strong arguments to broadening the list of visa waiver countries to include North America, Europe (to include UK, Germany, France, Spain and Italy) and Australia and New Zealand,” Kenneth Atkinson, chairman of the Vietnam Business Forum’s Tourism Working Group, told Thanh Nien News. Currently, citizens of ASEAN (Association of Southeast Asian Nations) member countries do not need a visa to enter Vietnam. The country also waives visa for single-entry visits of up to 15 days for Danish, Finnish, Japanese, Norwegian, Russian, South Korean, and Swedish nationals. Since March 10, foreigners have been able to visit Phu Quoc Island in the Mekong Delta province of Kien Giang for up to 30 days without a visa. The visa waiver also applies to foreigners who transit at any airport or seaport in Vietnam on their way to Phu Quoc. Also in March, the Ministry of Foreign Affairs launched an online visa application website, which is expected to reduce the processing time to two working days. http://visa.mofa.gov.vn is available in Vietnamese, English, French, and German. The resolution also instructed agencies concerned to ameliorate the visa regime to make it most conducive to tourists. 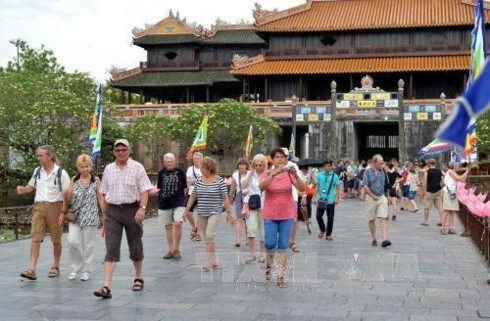 Tourists and tour operators have repeatedly called for an “efficient” visa-on-arrival system to be established in Vietnam. They often lament that there has been little headway made on creating a transparent, open, and effective visa-on-arrival system. Elsewhere in the region, in June 2013 Cambodia, Indonesia and the Philippines agreed to set up a common smart visa system modeled after the Schengen visa issued by 25 European countries. Thailand also waives visas for citizens of 55 countries and territories, while Malaysia, a leading tourist attraction in the region, does so for 155. 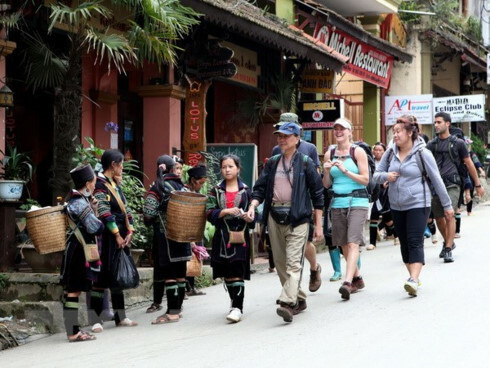 Vietnam received a total of 7.2 million foreign tourist arrivals in the first 11 months of this year, up 5.4 percent from a year ago, according to most recent figures compiled by the Vietnam National Administration of Tourism. 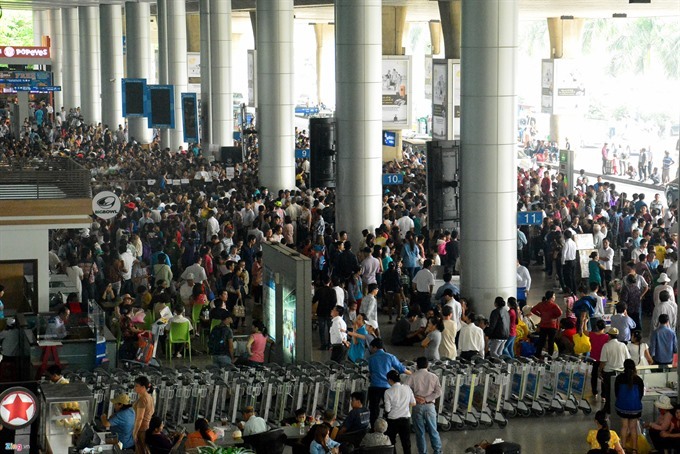 The country aims to draw up to 8.2 million international arrivals by the end of this year. 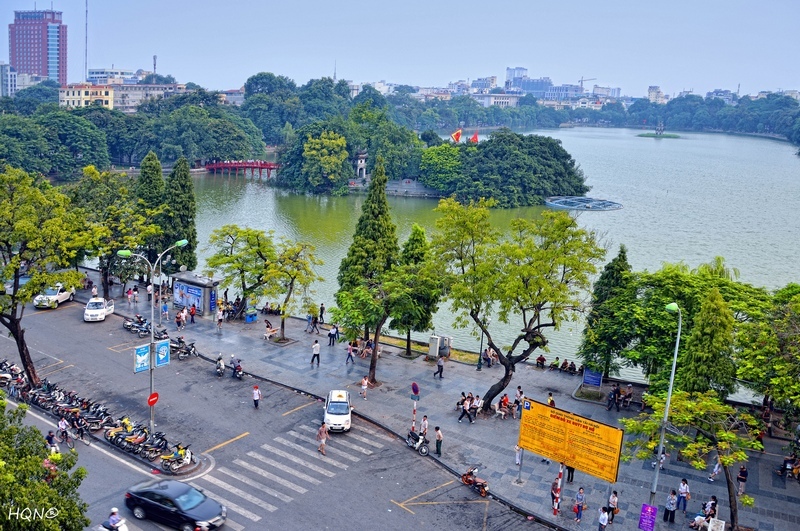 The Vietnam Business Forum (VBF) — a consortium of international and local business associations and chambers of commerce — has urged the country to relax its visa procedures, particularly in the wake of a dip in tourism arrivals that followed deadly anti-China riots in May. China’s deployment of a giant US$-1billion oil rig in Vietnamese waters on May 2 triggered peaceful anti-China protests that erupted into violence in central and southern Vietnam two weeks later. Extremists torched, looted and vandalized foreign-owned factories. Taiwanese businesses, mistaken for being Chinese, suffered the most. Despite “significant growth” in visitor arrivals in the first four months of this year, the riots reversed the trend, according to a VBF report in June. The latest government resolution also asked agencies concerned to “expand the international tourism market and reduce dependence on several major segmentations”. Although Vietnam attracted 330,000 Russian tourists in the first 11 months this year — a 25 percent increase over last year — the ruble’s dramatic slide has coincided with a significant drop in the number of Russian tourists heading for Vietnam, according to a recent report by news website Thoi Bao Kinh Te Saigon (Saigon Times). 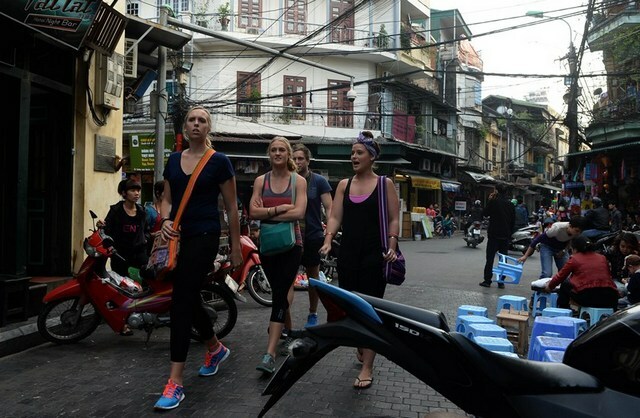 Many tourism companies in Vietnam said that although there has been no significant reduction in the number of Russian tourists visiting Vietnam, bookings have fallen drastically, the report said. It quoted Vietnam Airlines as saying that the carrier began reconsidering its direct flights to Russia due to the declining number of passengers. “We have already seen the dangers in relying on large originators of inbound travel to Vietnam (China and Russia) as they are very susceptible to external shocks,” Atkinson said. It is in this context that by extending the list of visa waiver countries Vietnam will increase the number of individual travelers to the country who tend to be high spending visitors, he said.